Did you know that there is a long list of reasons why you need to replace the windows in your home? 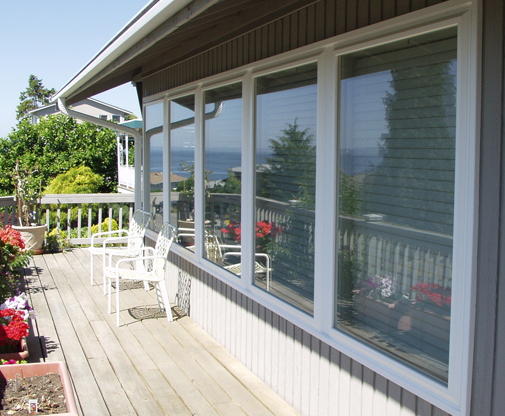 If you are thinking about vinyl replacement windows and doors in Tacoma, WA, we invite you to contact our team at Signature Window & Door Replacement to learn more about the many benefits that you will enjoy from these home upgrades. Whether you are looking to improve the quality of an older home, or you have decided that you want to change the appearance or style of your new home, replacement windows are a great place to start. These home upgrade projects can make a big difference on the overall appearance and quality of your home, and you will love the results when we are done. Ongoing maintenance and repairs are always needed to make sure that your home looks good. If you have noticed that your home looks run down or a few repairs are needed, right now is a great time to get started. Procrastinating your decision to upgrade your home can have a negative impact on the long-term quality of your home. Plus, the poor appearance will affect the first impression that people have when they come over to visit. Here at Signature Window & Door Replacement, we know the best ways to make your home look better than ever. We will talk with you about your goals for the home upgrades, and help you choose the right replacement windows and doors that will best match your needs. If it is time to invest in the appearance and style of your home, vinyl replacement windows are a great place to start. How much are you spending every month on utility bills? These costs can really add up over time, and many homeowners feel like they have a hard time controlling how much they are spending on utilities. If you want to reduce your monthly utility costs, then you need to talk with our team at Signature Window & Door Replacement. The quality of your windows and doors will have a direct impact on your utility bills, because poor quality doors and windows reduce the energy efficiency of your home. When the home is drafty, it is much harder to maintain a comfortable temperature inside. So, it is common to use the air conditioner and heater more frequently in order to compensate for the poorly insulated home. Vinyl replacement windows are a fast and effective method that can be used to improve the energy efficiency of a home. Once the windows have been replaced in your Tacoma, WA home, you will find that it is possible to reduce your utility bills right away. Certain energy efficiency upgrades can actually help you recover the cost of your investment, because the long-term savings will help you save money indefinitely. How much is your home worth? The quality of your home will be compared with other homes in the neighborhood, and it is essential that you are proactive to maintain the quality with home repairs and improvements. Even if you aren’t planning to sell your home right away, it is still important to consider the value of the property. By replacing the windows and doors in your home right now, you can enjoy the immediate benefits of the upgrades. At the same time, you will also be able to increase the amount of equity that is available when you decide to sell, because vinyl replacement windows and doors can help to increase the appraisal price of the property. To learn more about the home value benefits of replacement windows and doors, the best thing that you can do is contact us at Signature Window & Door Replacement. We know the types of windows that are best, and we will help you choose the products and services that will be optimal for the long-term value of your home.